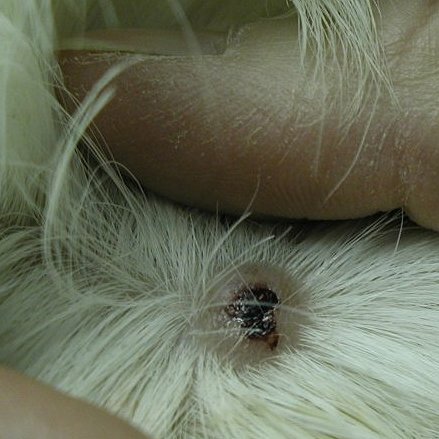 The trichofolliculoma (a benign basal cell epithelioma) is reportedly the most common tumor in guinea pigs, according to Dorcas P. O'Rourke, DMV in his article on guinea pigs in Ferrets, Rabbits, and Rodents -- Clinical Medicine and Surgery. This type of solid or cystic mass is most commonly found in the lumbosacral area and is easily removed surgically. 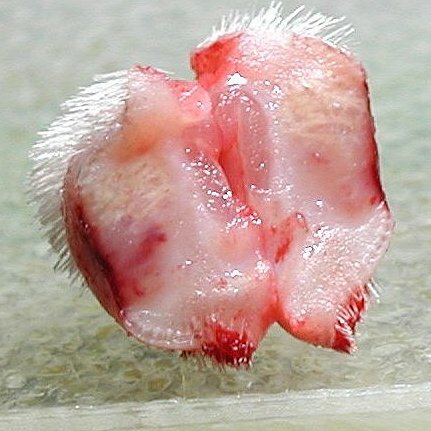 In June of 2005, the author noticed a 1/2" or so scabbed lump on her 6 year old guinea pig Snowflake's rump. 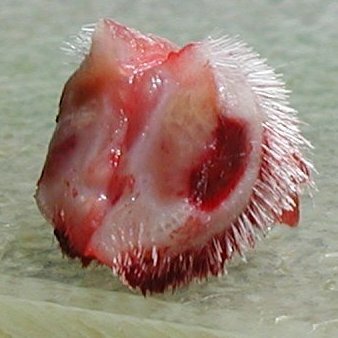 On examination, it did not seem to be an infection or a sebaceous cyst. The lump was firm, bled but appeared to have no matter inside, under the scab. Because the lump often had a fresh scab on it, Snowflake may have been bothered by it and was biting at it. 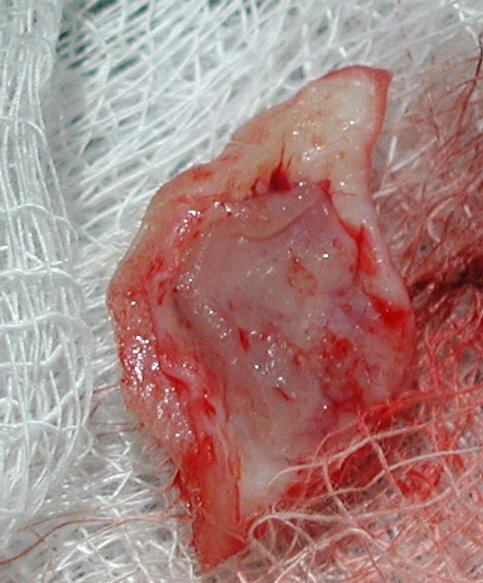 This likely trichofolliculoma (lump -- tumor just under the skin) was removed surgically. 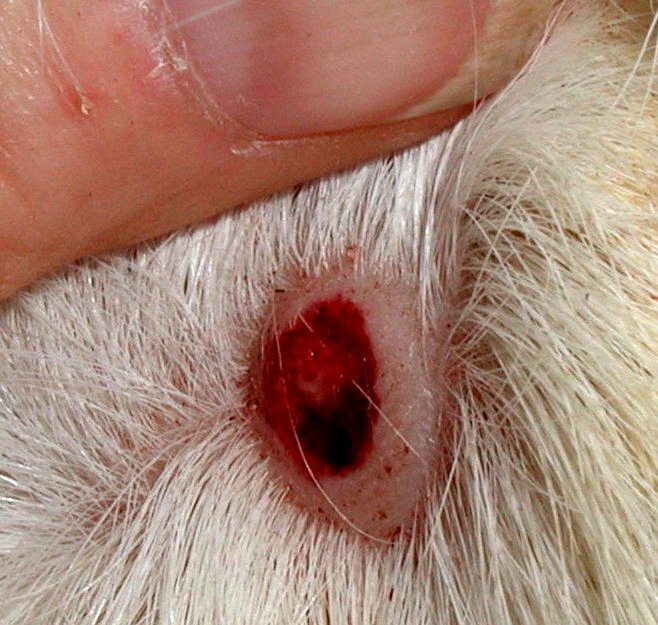 An examination of the lump showed it was not a sebaceous cyst nor an abscess. The lump was not biopsied. Snowflake recovered immediately from the anesthesia, ate well later that day, and seemed oblivious to the surgery. She was a trooper through it all. 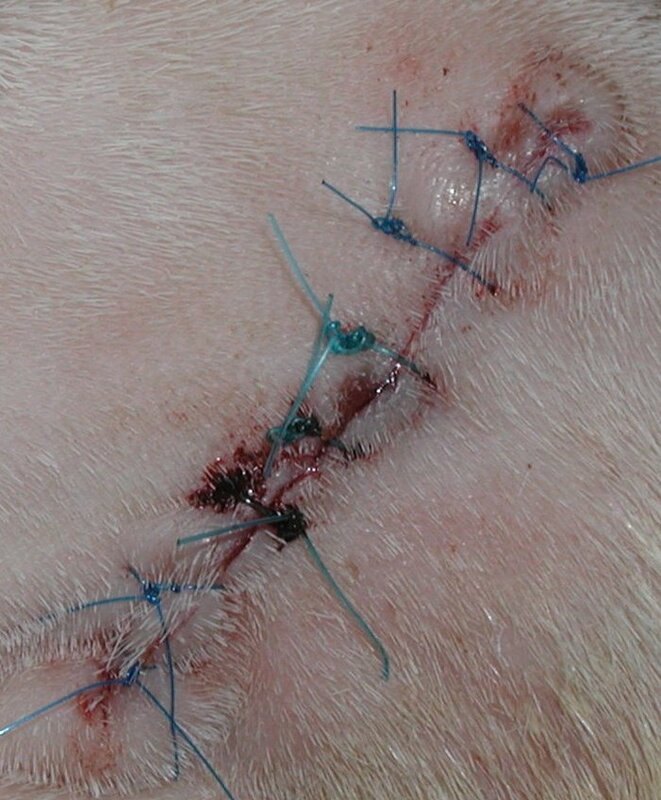 Nevertheless, the author dabbed some Chew Guard around the incision area to discourage biting at the sutures. 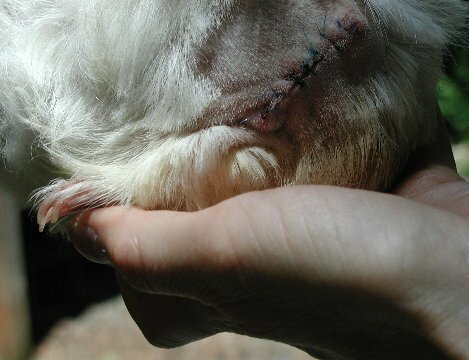 This was Snowflake's second surgery (she was spayed).